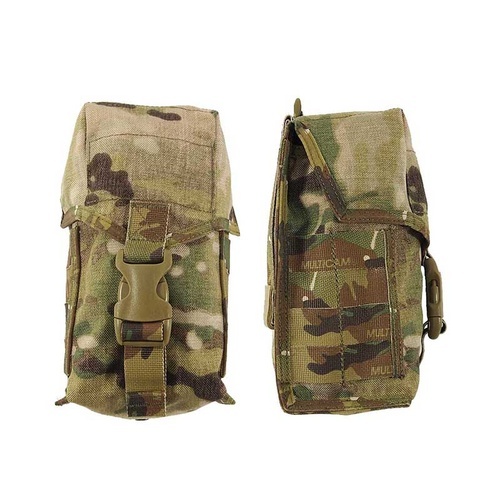 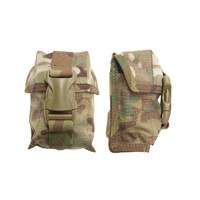 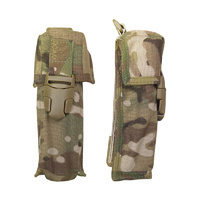 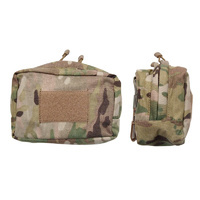 This pouch is large enough to hold a one litre water bottle with it's cups canteen attached. 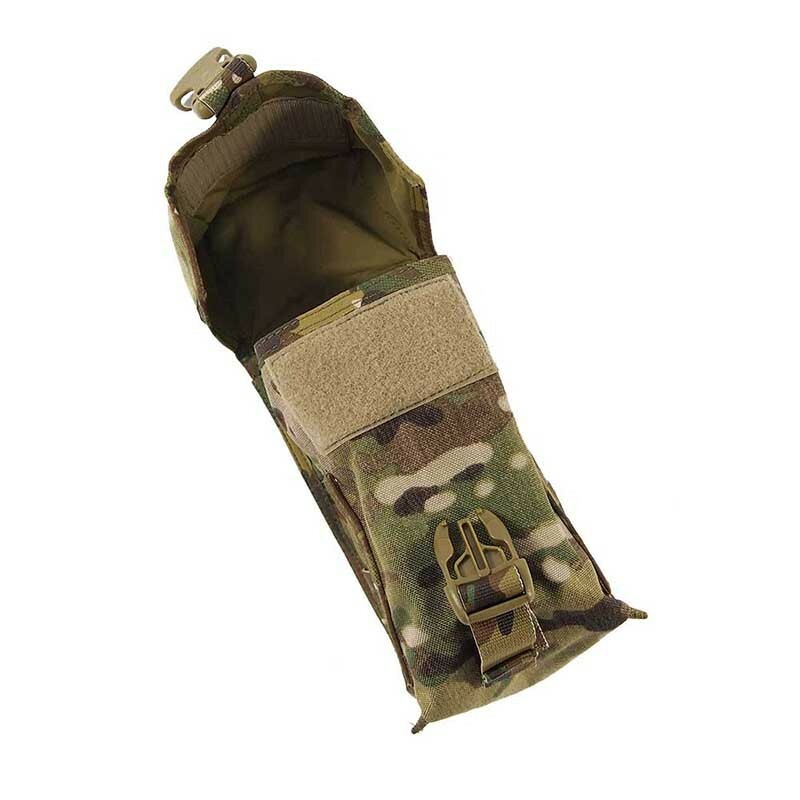 Closes with a single Fastex clip backed up by a Velcro patch to securely hold any items in place. 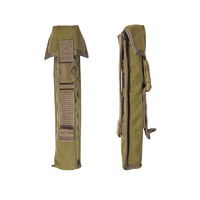 Drainage grommet at bottom for water operations. 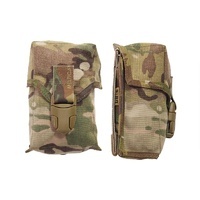 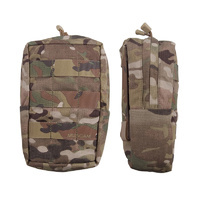 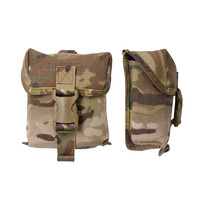 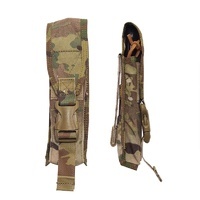 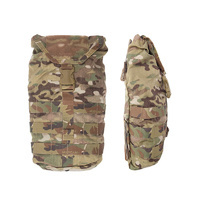 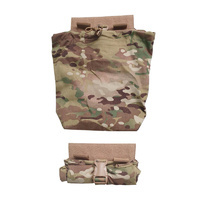 Requires three MOLLE columns for attachment. 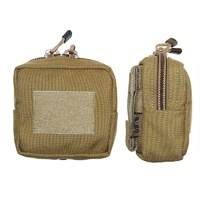 It's a large utility pouch made by sord...it's a simple age old pouch made by an innovate company. 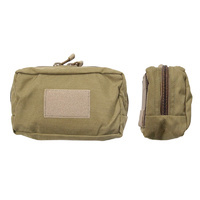 Off course it's great. 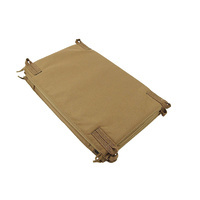 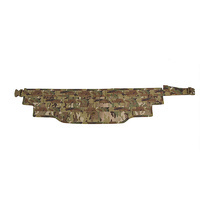 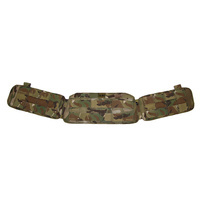 I use it on 2 molle rows rather than 3 to save on real estate, and you don't lose any interior space really. 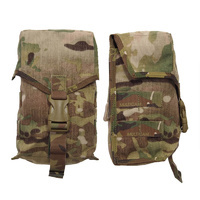 Not noticeably anyway.